Alstom launched a major photo competition, enabling anyone to submit a photo that illustrates their experience of travelling with Alstom. The photo, of a person or a group, can be taken on a train, a tram, a metro, or when setting off for a journey in a station or on a platform. To take part, riders just post the photo via Twitter, Instagram or Iconosquare, using the hashtag #withAlstom. The community can vote for their favorite photos, and the 50 entries with the most votes will be presented to a jury who will select the winners, who will receive a Leica camera. A selection of the best images will be on display Sept. 23 on Alstom's booth at InnoTrans, the biggest global trade show dedicated to the rail sector, which is held every two years in Berlin. Alstom Transport offers a complete range of solutions for urban and mainline trains. 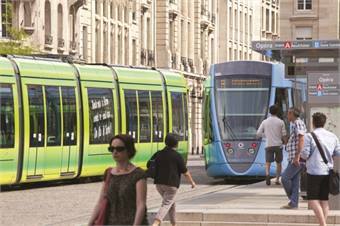 In urban transport, one tram and one metro out of four operating worldwide are Alstom products. 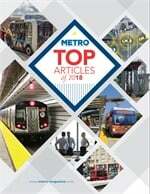 These references include the metros of Paris, New York, Panama, Budapest, Chennai, Amsterdam, Singapore and Shanghai and the trams of Dubai, Casablanca, Buenos Aires, Istanbul, Rotterdam and 22 French cities.